Don and I went walking yesterday, picking our way carefully amidst icy patches on the road. 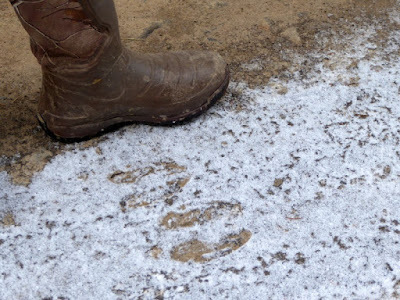 Suddenly we looked down and saw -- moose tracks. 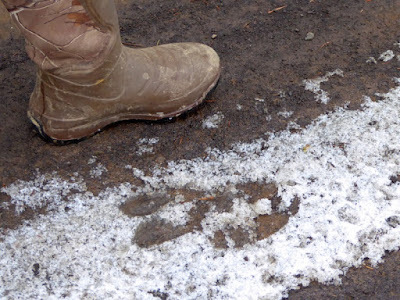 Don put his size-10 snow boot right next to a pair (front hoof/back hoof) of tracks for purposes of comparison. Big mamas! ...until we saw where the animal jumped over a snow berm and headed off down a side road. 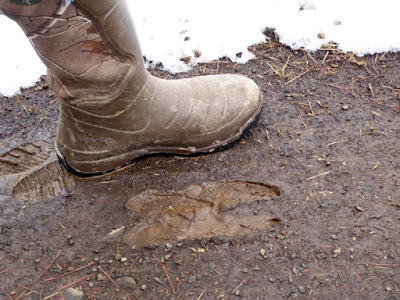 Besides sheer size, moose tracks are identifiable by a characteristic heart-shaped print. We've been having moose hanging around, so seeing prints isn't surprising. Just fun! 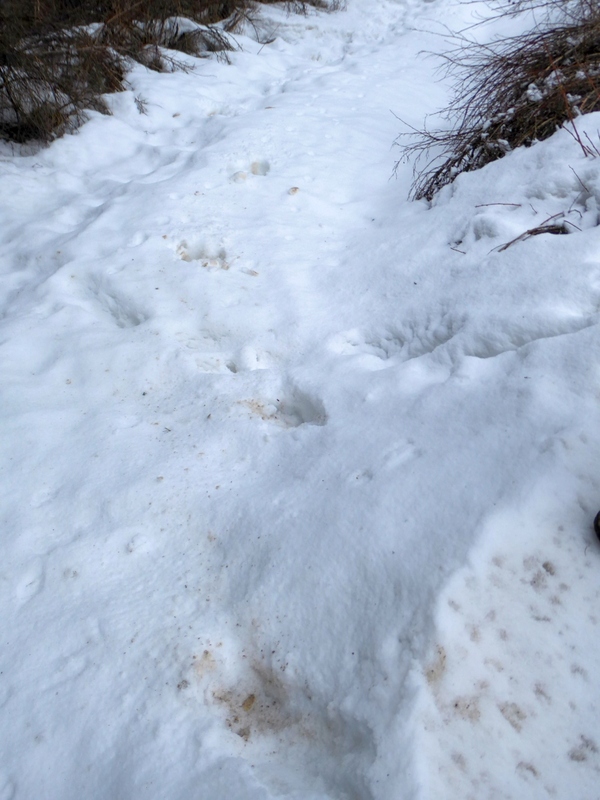 I saw moose tracks by my house also, however these are of the very dark milk duds type, placed in large mounds, yup moose was here. 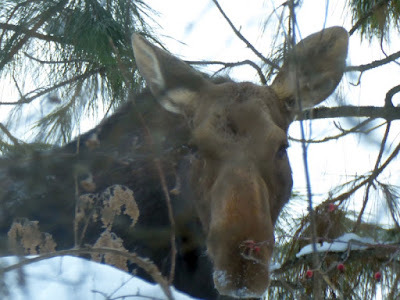 Moose are ill tempered, have no respect for fences (they knock em down regularly) eat a whole garden down to nubs before dawn and harass domestic animals (not to mention people). But on the plus side they are tasty and make fantastic hide coats. Is there a season on moose in Northern Idaho? Yes, but I don't know when (we're not hunters). I believe it's a lottery. Saw this on another blog and thought you should see this. What an amazing young woman. Hope the link works, if not, search you tube for response to teen vogue from a pro life teen.